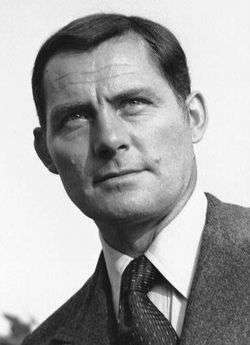 For other people with the same name, see Robert Shaw (disambiguation). Robert Archibald Shaw (9 August 1927 – 28 August 1978) was an English actor, novelist, and playwright. With his menacing mutter and intimidating demeanour, he was often cast as a villain. He is best remembered for his performances in Jaws (1975), in which he portrayed a shark hunter named Quint, and The Sting (1973), where he played the conned mobster, Doyle Lonnegan. Shaw also appeared in From Russia with Love (1963), Battle of the Bulge (1965), A Man for All Seasons (1966) (for which he was nominated for the 1967 Academy Award for Best Supporting Actor), Battle of Britain (1969), The Taking of Pelham One Two Three (1974), Black Sunday (1977), The Deep (1977), and Force 10 from Navarone (1978). Robert Shaw was born in Westhoughton, Lancashire, England, in 1927. His mother, Doreen (née Avery), was a former nurse born in Piggs Peak, Swaziland, and his father, Thomas Shaw, was a doctor. He had three sisters, Elisabeth, Joanna and Wendy, and one brother, Alexander. When he was 7, the family moved to Stromness, Orkney, Scotland. When he was 12, his father, an alcoholic, took his own life. The family then moved to Cornwall, where he went to the independent Truro School. For a brief period, he was a teacher in Saltburn-by-the-Sea in the North Riding of Yorkshire, then attended the Royal Academy of Dramatic Art in London. He served in the Royal Air Force. Shaw began his acting career in theatre, appearing in regional theatre throughout England. In 1952, he made his London debut in the West End at the Embassy Theatre, in Caro William. He developed his formidable, piercing shouting technique. Shaw starred in a British TV series which also appeared on American television as The Buccaneers (1956–57). Shaw's best-known film performances include assassin Donald Grant in the second James Bond film From Russia with Love (1963); the title role in The Luck of Ginger Coffey (1964); the relentless panzer German Army officer Colonel Hessler in Battle of the Bulge (1965); a young Henry VIII in A Man for All Seasons (1966); Lord Randolph Churchill, in Young Winston (1972); General George Armstrong Custer in Custer of the West (1967); mobster Doyle Lonnegan in The Sting (1973); the subway-hijacker and hostage-taker "Mr. Blue" in The Taking of Pelham One Two Three (1974); the shark-obsessed fisherman Quint in Jaws (1975), lighthouse keeper and treasure-hunter Romer Treece in The Deep (1977); and Israeli Mossad agent David Kabakov in Black Sunday (1977). Shaw was nominated for the Golden Globe Award and the Academy Award for Best Supporting Actor for his role in A Man for All Seasons. He performed onstage as well, across Britain and on Broadway in the United States, where his notable performances include Harold Pinter's Old Times and The Caretaker, Friedrich Dürrenmatt's The Physicists directed by Peter Brook, and The Man in the Glass Booth, inspired by the kidnapping and trial of Adolf Eichmann, written by Shaw himself, and directed by Pinter. Shaw was also an accomplished writer of novels, plays and screenplays. His first novel, The Hiding Place, published in 1960, received positive reviews. His next, The Sun Doctor, published the following year, was awarded the Hawthornden Prize in 1962. Shaw then embarked on a trilogy of novels – The Flag (1965), The Man in the Glass Booth (1967) and A Card from Morocco (1969). His adaptation for the stage of The Man in the Glass Booth gained him the most attention for his writing. The book and play present a complex and morally ambiguous tale of a man who, at various times in the story, is either a Jewish businessman pretending to be a Nazi war criminal, or a Nazi war criminal pretending to be a Jewish businessman. The play was quite controversial when performed in the UK and the US, some critics praising Shaw's "sly, deft and complex examination of the moral issues of nationality and identity", others sharply critical of Shaw's treatment of such a sensitive subject. The Man in the Glass Booth was further developed for the screen, but Shaw disapproved of the resulting screenplay and had his name removed from the credits. However, Shaw viewed the completed film before its release and asked to have his name reinstated. In 2002 Director Arthur Hiller related Shaw's initial objection to the screenplay and his subsequent change of heart: "When we decided that we needed more emotions in the film and leaned it towards that, we tried, obviously, to be honest to Robert Shaw, to keep that intellectual game-playing, but to create more of an emotional environment. And Robert Shaw became very disturbed. He did not like the idea and indeed, if you will watch the film, you will see that his name does not appear in the credits, nor does it even say, 'based on the play, The Man in the Glass Booth' because he wouldn’t let us do it. He just didn’t like the idea until he saw the film. Then he phoned Eddie Anhalt, the screenwriter, and congratulated him because he thought it was—just kept the tone he wanted and did it so well. And he phoned Mort Abrahams the Executive Producer to see if he could get his name put on the final credits. But it was too late to restore his name, all the prints were all made." Shaw also adapted The Hiding Place into a screenplay for the film Situation Hopeless... But Not Serious starring Sir Alec Guinness. His play Cato Street, about the 1820 Cato Street Conspiracy, was produced for the first time in 1971 in London. Shaw was an alcoholic for most of his life. He died at age 51 from a heart attack on 28 August 1978 while driving from Castlebar to his home in Toormakeady, Ireland. He suddenly became ill, stopped the car, stepped out and then collapsed on the roadside. He was rushed to Castlebar General Hospital and was pronounced dead. He had just completed filming of Avalanche Express. His remains were cremated and the ashes scattered near his home in Ireland. A stone memorial to him was unveiled there in his honour in August 2008. Shaw has a public house named after him in the town of his birth, Westhoughton, Lancashire. Also, villain Sebastian Shaw from the X-Men comics is named and modelled after Shaw. Shaw was married three times and had ten children, two of whom were adopted. His first wife was Jennifer Bourke (1952–63) with whom he had four daughters. His second wife was actress Mary Ure (1963–75) with whom he had four children. He adopted son Colin, born in 1961, born during his wife's previous marriage to John Osborne (According to an interview with Colin, he was Robert Shaw's son born during an affair while she was still married to John Osborne). His son Ian, born in 1969, also became an actor. He also had two daughters, Elizabeth and Hannah, born in 1963 and 1966, respectively. This marriage ended with her death from an overdose. His third and last wife was Virginia Jansen (1976–78) with whom he had one son, Thomas and adopted Jansen's son, Charles, from a previous relationship. His grandson is notable musician and composer, Rob Kolar. For the last seven years of his life, Robert Shaw lived at Drimbawn House, in the village of Tourmakeady, County Mayo in Ireland. Battle of Britain (1969) – Squadron Leader "Skipper"
↑ Wakeman, John; Stanley Kunitz (1975). World authors, 1950–1970: a companion volume to Twentieth century authors. Wilson. p. 1292. ISBN 0-8242-0419-0. ↑ "Full text of "The Player A Profile of an Art"". Archive.org. Retrieved 7 October 2010. ↑ The Man In The Glass Booth; Interview with Arthur Hiller; 2003 DVD release; KINO VIDEO. ↑ "Robert Shaw, British Actor, Dies in Ireland". The Post and Courier. 29 August 1978. Retrieved 6 December 2011. ↑ "JD Weatherspoon". Retrieved 9 June 2011. ↑ "Comic Book Urban Legends Revealed #44!". Retrieved 9 June 2011.